Just recently, ONE Championship™ (ONE), the largest sports media property in Asian history, in conjunction with Predator gaming laptops, held an Exclusive Media Day for ONE: KINGS OF DESTINY, featuring main event combatants ONE Lightweight World Champion Eduard “Landslide” Folayang of Baguio City, Philippines, and challenger Ev “E.T.” Ting of Kuala Lumpur, Malaysia. The two fighters faced off in front of the media at the Top of the Citi Restaurant in Citibank Tower on Tuesday, 28 March, in Manila. Eduard “Landslide” Folayang of the legendary Team Lakay in Baguio City is one of the Philippines’ most experienced mixed martial artists. After nearly a decade of competing in various promotions, Folayang has amassed an impressive 17-5 professional MMA record. The 33-year-old veteran authored career resurgence in 2016, winning three consecutive bouts against high-profile opponents while showcasing a highly-improved wrestling and grappling arsenal. In his last bout, Folayang shocked the world by capturing the ONE Lightweight World Championship with a sensational victory over Japanese MMA legend Shinya Aoki. 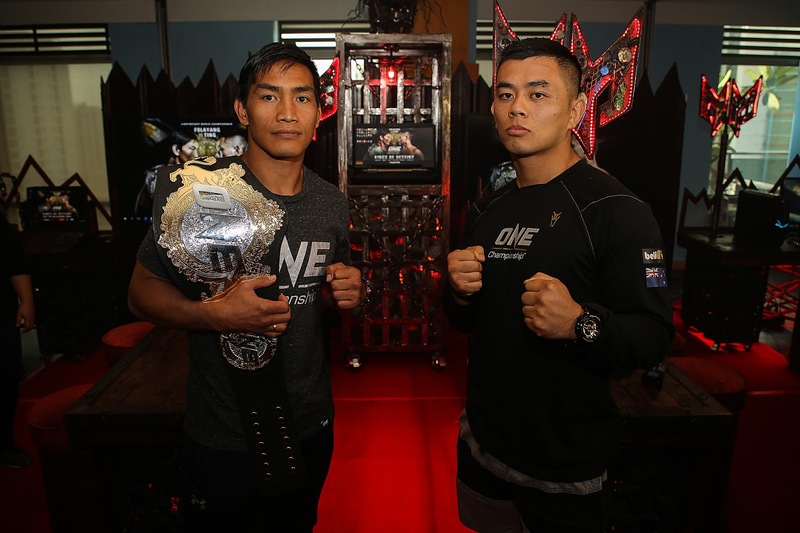 Folayang will now put his title on the line against Ev Ting.